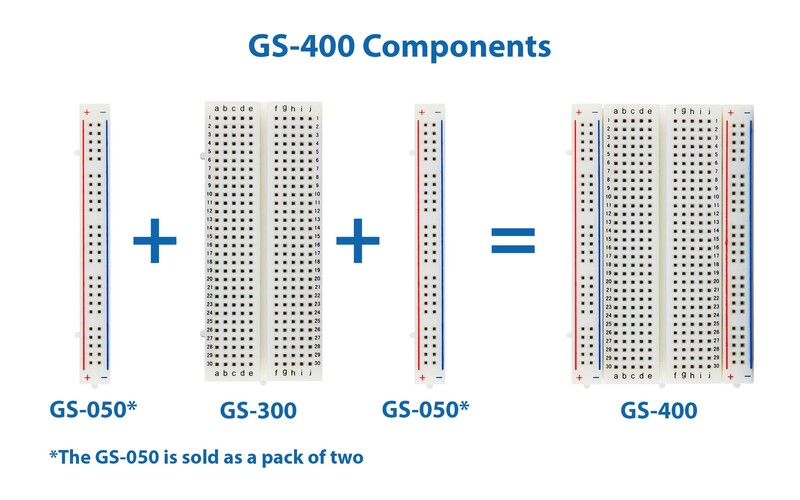 The Global Specialties GS-300 has 300 tie-points and offers unlimited circuit design expansion though its unique molded-in interlocking edge rails and standard 0.3" DIP spacing. Molded interlocking edge rails on all four sides permit parallel or perpendicular socket arrays, allowing more boards to be added at any point for maximum circuit design flexibility. The GS-300 is made from high impact plastic with phosphor bronze contacts. It has a heavy-duty Mylar backing to prevent short circuits.